Path Scanner is a powerful and fast file scanner, which will help you identify long file path on your computer or server. Download and run "out of the box". Run it the way you want. 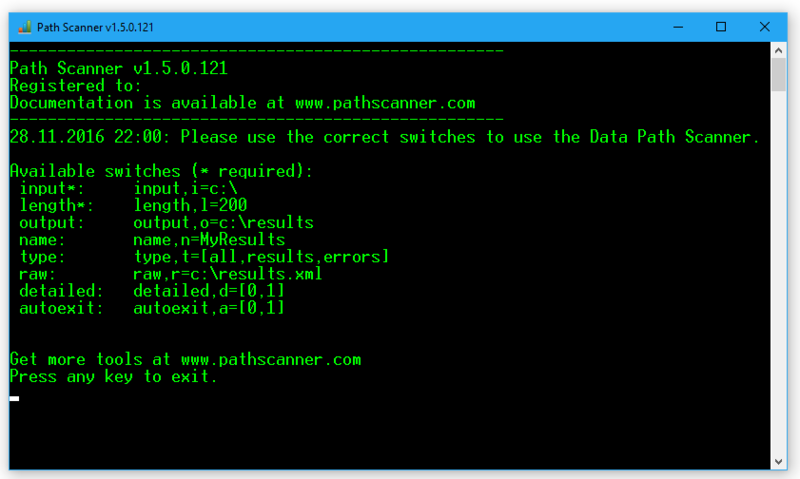 Path Scanner is easy to use. If you want to learn more, just view the documentation! "Your software allowed me to quickly find the problem with files and folders, which I could then rename to be shorter and allow the files to be copied. -Andrew"